If you haven’t played golf in a while due to injury or weather or your schedule, summer is a great time to fit in a few rounds or even 9 holes here and there. 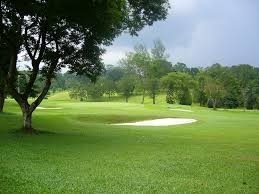 Golf is great exercise and can be a fun way to pass the time with friends and family. Golf is lower impact than many other activities. Strengthen any weakened muscles. Squeeze a tennis ball and do wrist curls to strengthen your wrists. Do core exercises, including sit-ups, planks and other stretches to fortify your abdominal muscles, thereby protecting your lower back. Start with working on your short game. These shots are the least taxing on your low back, hips and shoulders. Getting out to a practice green and putting as well as practicing your chipping are important preliminary exercises to undertake prior to your first real outing with friends and family. Super-slo-mo your swing for the longer shots. Practice swinging with the club but really, really slow it down, so that it takes even as long as 10 seconds from back swing to follow through. Focus on your body: your hands, wrists, shoulders, hips and back. If anything hurts during these practice swings, address that body part before continuing. Place some tees around your yard and just make contact with the tees. Go to the driving range to get a feel for how effective your swing is. 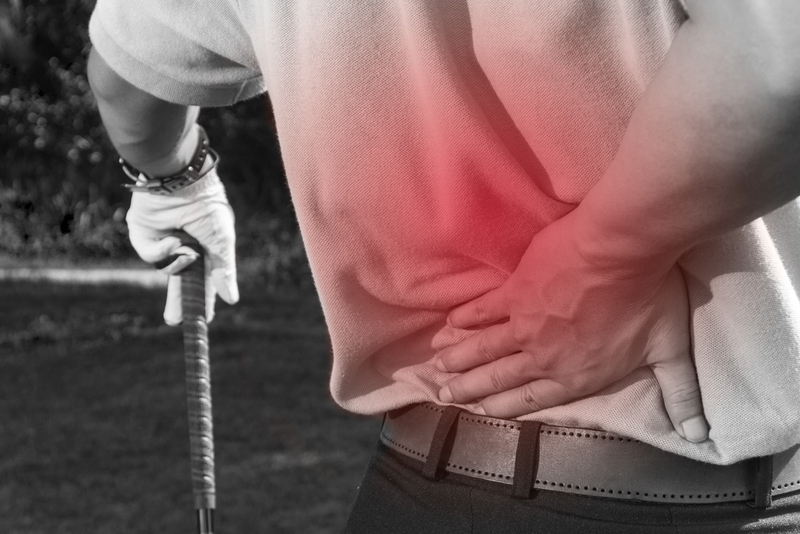 Perhaps you need to change your club choices or be much more deliberate about your posture. Don’t berate yourself, just find ways to compensate. Hire a golf instructor if you get frustrated for some fine-tuning. Before your first round of golf, give yourself at least 15 minutes of good warm-up prior to teeing off at the first hole. Stretch your arms above your head with the clubs in your hand. Swing your clubs. Stretch out your legs and your hips. Pay attention to your hands, too, clenching and unclenching them slowly. Change your goals for the day and maybe for a while to come: it’s not about a score; it’s about trying to golf without pain and with some sense of joy. You’re not in the PGA or LPGA. You are not required to finish every round that you start, nor even play every ball (depending on the rules that you follow within your playing group and the rules of the course). Take a break on a particularly challenging hole. Walk a little more if you can, a little less if it hurts. Golf is a great source of exercise and camaraderie. With some careful planning, it’s a sport that can be enjoyed for many years by lots of Michiganders.